Part of our internal company manifesto is that “Collaborations are magic.” It’s part of the DNA of the Blogalicious brand. Well, our upcoming event in Quebec City, Canada is another perfect example of that. We are so excited to share that The ME Experience is partnering with Women in Travel Summit to host a programming track at their conference in May! 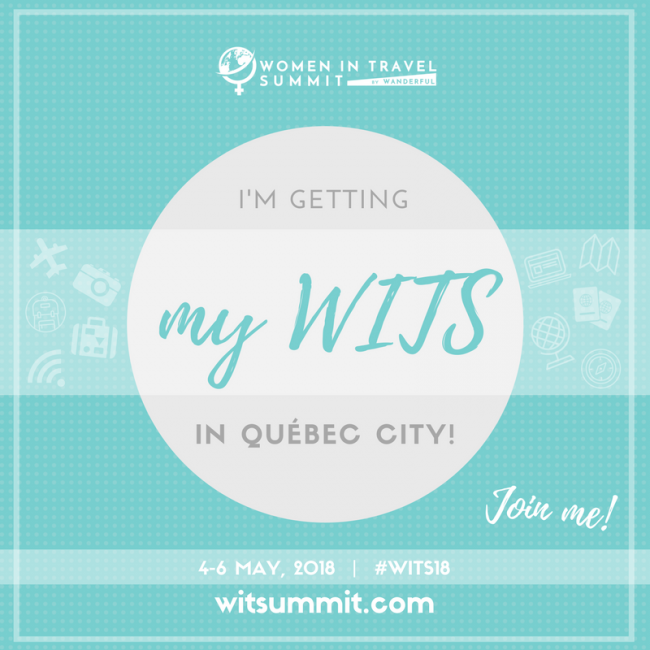 What is the Women In Travel Summit (aka WITS)? It’s the premier event for women travel influencers, creators, and brands, brought to you by Wanderful. In keeping true to our goal in 2018 for shaking things up and trying something new, we wanted to collaborate with another awesome female-powered influencer conference and we jumped at the opportunity to take our community to international soil. 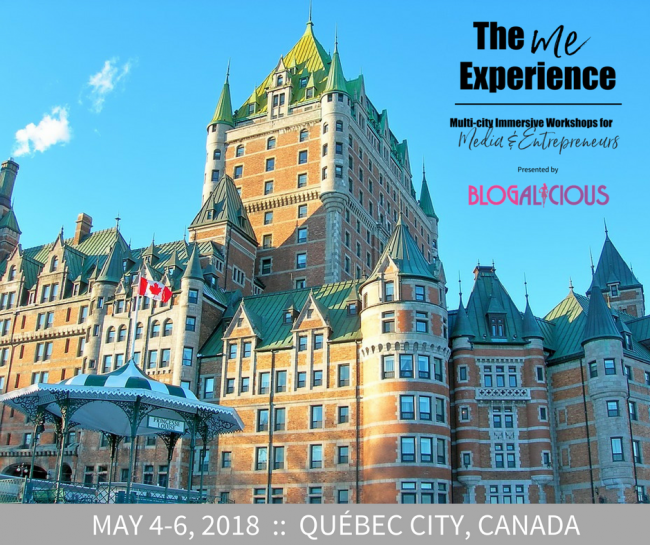 The conference is being held at the gorgeous Fairmont Le Château Frontenac and will bring together up to 500 incredible women for a powerful weekend of learning, networking, and exploring. We will be sharing details about our sessions and other fun soon. We hope that you’re as excited as we are and we can’t wait to see you at The ME Experience :: Quebec City! !